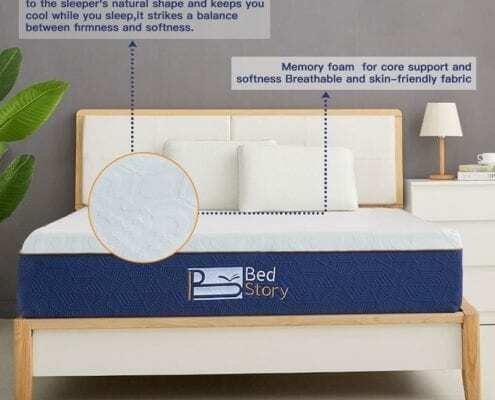 BedStory is a value memory foam mattress that is infused with lavender. If you’re on a tight budget and like lavender you may want to consider BedStory. BedStory present their 12 inch mattress in full foam for our review. The most instantly noticeable thing about this bed is the sweet scent when it is unpacked, owing to the lavender infusion in the memory foam. This is a tricky one for us. One of our reviewers loves Lavender, the other says it gives him a headache. But either way the scent will fade. First impressions (Asides from the smell) are positive. The branding looks good, the research seems to be apt, the cover is made from a knit fabric and woven to absorb moisture. As far as memory foam beds go it seems just fine at first glance. Let’s go into depth on the different aspects of the Lavender Memory Foam mattress to see if it live up to our exacting standards. BedStory have a nice, simple but effectively styled website. They don’t overwhelm you with ads and they don’t encourage a quick sale by sticking their price at the top of the page for all to see. The website isn’t very compatible with mobile use which does give us a little cause for concern, but we like the overall feel, the color scheme and the marketing they have used. 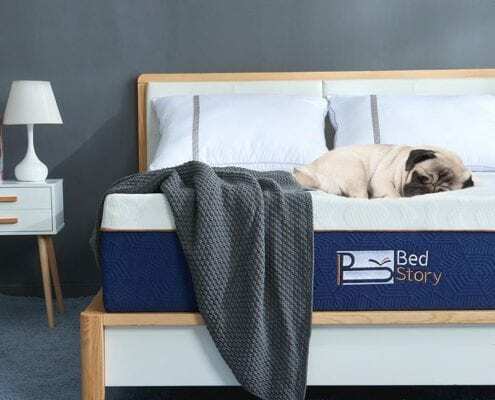 We aren’t so sure about the digital marketing side of things as we have yet to see an ad for this brand or this bed, even though they have a well established range. Similarly, they have a very small ‘about us’ section at the bottom of the page that doesn’t fill the buyer with confidence. We could not find the exact date the company was established but we would hazard a guess as to this being a fairly young firm – although they do claim 35 years of experience in the industry. • If you are a hot sleeper – this mattress has good air flow and didn’t tend to get overly hot. • If you are an insomniac – that lavender will really help you to drift off. • If you want a true memory foam feel – the BedStory will be just right for you. • If you are looking for a medium firmness mattress with a twist that makes it unique from others you will love this mattress. • If you prefer a natural or organic style mattress. • If you need good motion reduction because you sleep beside a partner that tosses and turns. • Don’t like the smell of Lavender of find the smell to be pervading the whole room. IF you keep the sheets up this shouldn’t be a problem. • If you like a bed with springs or coils included this is not the one for you. • If you want an excessively soft or firm mattress this might not be a good choice. • If you do not like the scent associated with natural or organic mattresses. The top layer of this mattress is a non-woven knit that we are not truly certain we understand. It is a stretchable knit material that moves with the bedding and doesn’t stick to you. The quilting also helps to promote air flow as you sleep. This is a full foam bed so it does tend to conform well but is not over whelming. The Lavender that makes this bed so unique is located in the third layer down and has been infused into the memory foam. As many of us know already Lavender has subduing qualities that promote relaxation, so the premise is actually a very innovative concept. We like the idea, even if we aren’t the biggest fans of the herb choice. It makes for a very interesting take on a bed type that, let’s face it, has been executed to death over the last few years. The multiple layers of foam and comfort make this bed as cozy as you would expect, but the added lavender really helps you drift off. If you are an insomniac this might just be the bed for you. It is also certified by Certipur for the added reassurance of a chemical free sleep. Delivery of the BedStory Lavender Mattress is often free and can take between 5 and 10 working days. They do boast a speedy delivery service that customers recommend. Like many other mattresses nowadays your mattress will come bound inside a vacuum sealed packet and rolled up into a box to make for ease of transportation. This method of delivery also helps to keep carbon emissions low. Once your mattress arrives we suggest that you take it to the room you are going to place it in before you start to unpack. The mattress will not be so easy to handle once it is expanded! Next; take a sharp tool and cut away the outside box along with the inner sealed packaging. Make sure to be careful at this point so that you don’t cut through the fabric of the bed accidentally. Once your bed is free of all packaging it will start to expand. By comparison to other mattresses this model takes a little longer to expand but should be fully inflated after 72 hours maximum. At this stage it will give you the promised great sleep. You will be able to use the mattress before then with the aid of a mattress protector and sheets, however. Full memory foam mattresses simply cannot be beaten when it comes to motion control. In fact – the softer the mattress the less you will feel any movement from your partner. Memory foam soaks up the movement and disperses it through the density of the fabric, allowing for contouring to your shape and ample motion reduction. Motion reduction does come with a little sinkage. This is the opposite of bounce in a mattress. Rather than balance on the top of the Lavender mattress you are absorbed into it, especially because it is not particularly hard. Although this means motion reduction is fantastic it is not ideal for the stomach sleeper, who may find themselves suffocated in the night! To us, off-gassing is a bit of a deceptive term because any new product that you bring into your home is going to smell like the last place it was stored. No manufacturer in their right mind will sell you a mattress that is loaded with toxic fumes! That being said the BedStory Lavender does come with Certipur certification, which is a voluntary scheme by which manufacturers can assure customers that their products are free of any harmful chemicals. Because this is a naturally made material mattress there will be some scent associated with it. This smell is nothing to worry about and is merely the lingering scent of the materials. You may not even be able to notice it at all because of the strong lavender scent the mattress emanates. If you are worried about smell then we recommend you choose another model, as smell is the unique selling point of this full foam bed. Any smell is similar to new shoes or a new car and is nothing to worry about. It should be gone within 36 hours and will not be noticeable with the aid of a mattress protector and some sheets. The BedStory performs as it should for edge support. Foam mattresses can lack for edge support but in the laying down position you do not have a roll of the mattress feel at all. 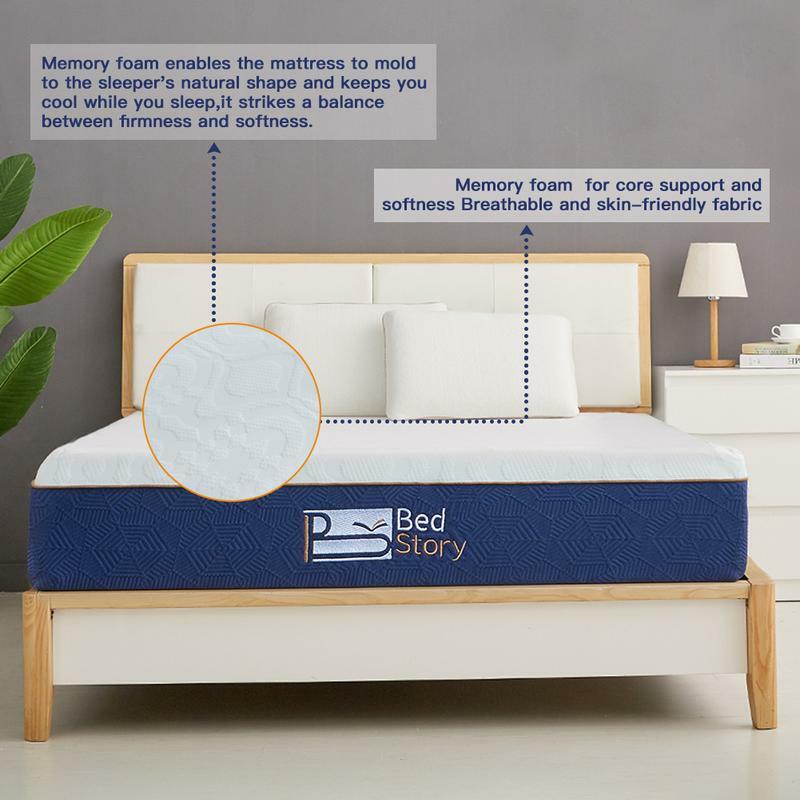 Constructed with 2.5 inches Pure Memory Foam Layer, 7 inches Air-Circulation Foam Layer, 2 inches High-density Support Foam Layer inside the mattress. 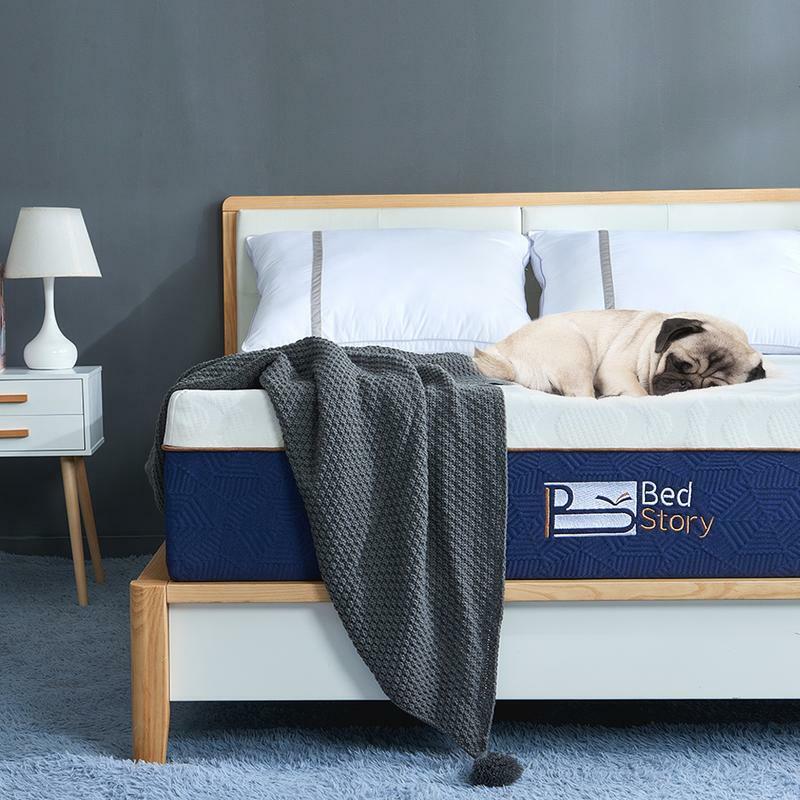 This ergonomic design enables the mattress to mold to the sleeper’s natural shape and keeps you cool while you sleep, it strikes a balance between firmness and softness. The BedStory Mattress will work great on any solid surface. The floor, platform slats, boxspring/foundation and they now offer an adjustable base as well. The BedStory Lavender 12 inch mattress gives a hint towards temperature regulation but falls into the category of temperature neutral, rather than temperature regulated. 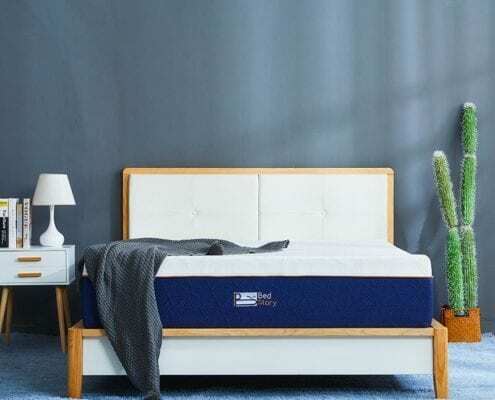 This means that although they have not included any cooling-infused memory foam, coolant layers or the likes, they have gone to the effort of ensuring maximum airflow through the mattress as you sleep. This air works to keep you comfortable and feeling refreshed when you wake up, rather than sticky with sweat. Although we didn’t film the BedStory yet on a base you can be sure it will work fantastic on an adjustable base. We are left a little unsure. The website promises ten years risk free, but we can only guess that this refers to a guarantee and not a sleep trial. They also offer free and fast delivery coupled with good after care, but we expect these things as standard from any manufacturer. 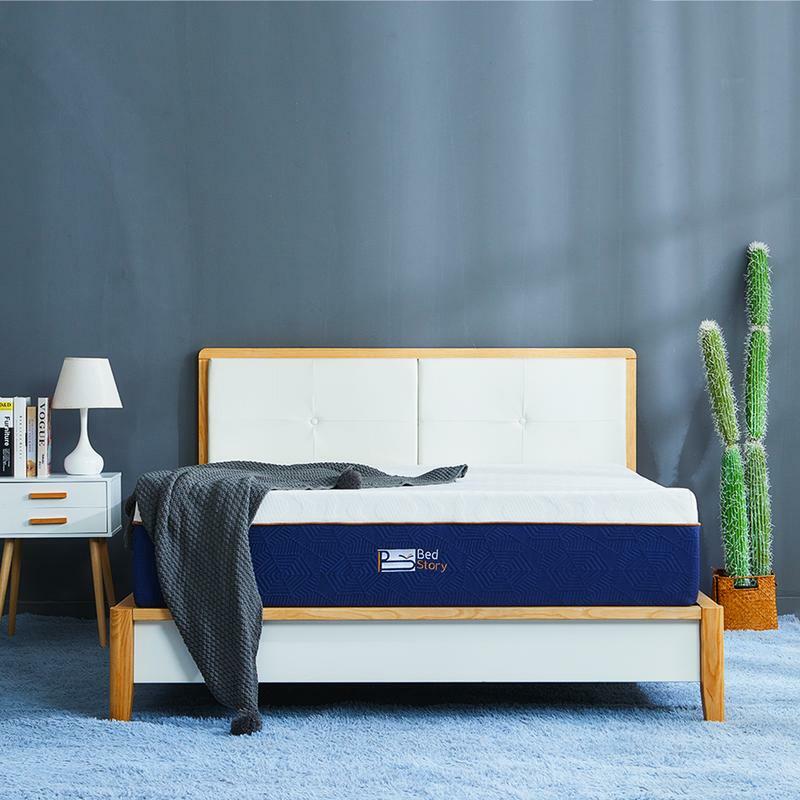 Industry standard packages for mattresses tend to include a one hundred night sleep trial alongside a 10 year guarantee against any defects from their products. We are completely unsure if this firm does this or not, but believe this is due to website error. With this in mind our score for trials and warranty has to be low. We have no other choice. “OK, it may be too soon to rate this because time is the best judge. But I think I can honestly say this mattress was way better than expected and I am a very picky sleeper. 1) The mattress arrived as the expected delivery day. 2) I carefully removed the cardboard box to find a huge roll inside. Put the roll on the bed platform, took off the outer plastic, then cut open the inner plastic and wow… it grew right before my eyes! It unrolled itself, and started swelling up and within a few minutes, it was full size! I didn’t have to wait 48 hours for it to stop “growing”. The BedStory mattress comes into a saturated market with a fresh perspective and a natural, sustainable and Eco-friendly model that we liked a lot. Unfortunately lavender is not the herb for everyone, and the scent can be a little much for some. For others it is a wonderful aid to help them sleep faster. We love the idea but the execution is a little haphazard for our liking. A little more research and development and a lot more attention to detail are needed for us to up our marks. That being said, this is a good value for money mattress for those concerned with sustainability. The choice, as always, is yours.